Travel back in time on a 2-hour, historic walking tour of New Orleans’ Lafayette Cemetery and Garden District with an local historian guide. Learn about the different styles of architecture while walking the beautiful oak filled streets showcasing antebellum homes. Walk through the historic Lafayette Cemetery and picture what it must have been like living in the early 1830's. Make sure to ask your guide for suggestions on best places to enjoy New Orleans' finest music, food and drinks. Meet your guide at the corner of St. Charles and Washington Avenue (get off at stop N27 if you ride the St. Charles streetcar to the Garden District). 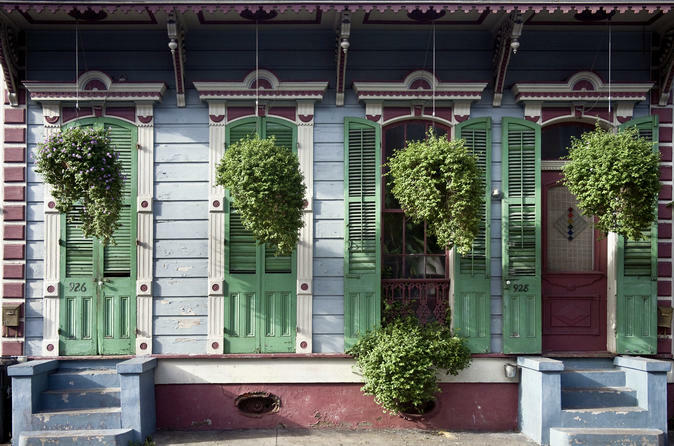 Wander through this verdant residential area of New Orleans to admire the many beautiful 19th-century antebellum mansions – it's the largest collection of this style of buildings in the world. At one time, this part of the city was taken up by a few plantations. These were later broken up into the separate residential plots you see today. The streets are lined with Live Oaks, sometimes branching across roads to create lush tunnels between fine examples of quintessentially New Orleanian architectural styles. Look for scrolled cast iron fences and grand white columns. Before concluding the tour, visit one of the city's famous above-ground cemeteries, Lafayette Cemetery No. 1, which dates from the 19th century.